Canada's third-richest man is 90, but not ready to take it easy at the Vancouver headquarters of his empire. Instead, he's criss-crossing Alberta and Manitoba to check on his latest venture. 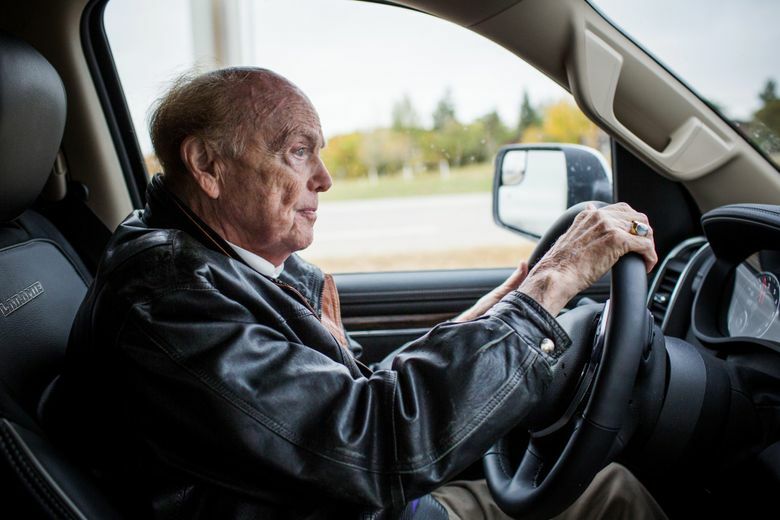 Jim Pattison roars through rural Saskatchewan in his silver pickup truck, barreling down the prairie road that runs arrow-straight to the horizon. Tossed into the back seat is a sleeping bag and crimson pillow — the unlikely berth for Canada’s self-made billionaire when he can’t find a motel. 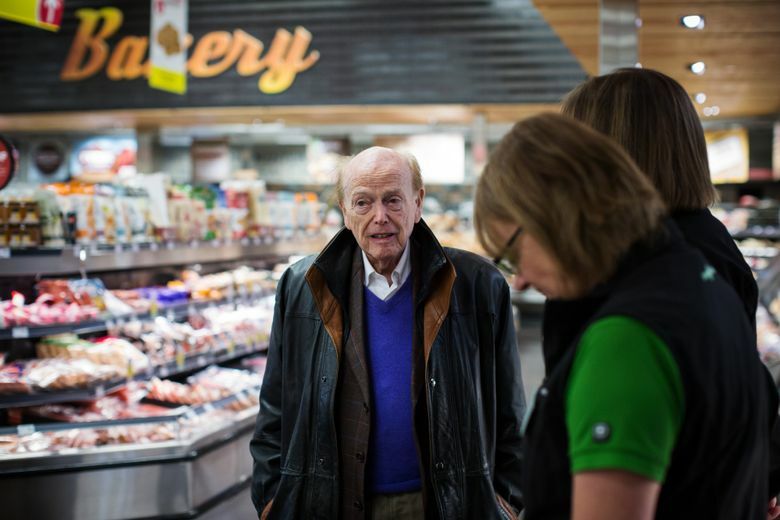 It’s here in Canada’s vast breadbasket that Pattison was born and where, at age 90, he’s overseeing one of the newest arms of his $7.4 billion empire: Pattison Agriculture, a string of John Deere equipment dealerships serving 21 million acres of farmland. The road trip offers a rare glimpse of the intensely private Pattison, Canada’s third-richest man, who created his iconic business group in seeming defiance of modern empire-building. He eschews emails, carries a cell phone but barely checks it, and can count on one hand the number of times his group has used an investment bank in recent memory. Pattison is often dubbed Canada’s Warren Buffett — a trope that underscores how relatively unknown he remains outside Canada despite a conglomerate that operates in 85 countries across a dizzying array of industries: supermarkets, lumber, fisheries, disposable packaging for KFC, billboards across Canada and ownership of the No. 1 copyrighted best-seller of all time, the “Guinness World Records.” Believe it or not, he even owns the Ripley Entertainment empire. Pattison has driven 1,000 miles from the Jim Pattison Group headquarters in Vancouver, across the towering Canadian Rockies to the prairies where he’s acquired four farm equipment companies to create Pattison Agriculture. He likes to drop in unannounced on his holdings, including his supermarkets and dealerships, but word quickly gets around. He listens intently as they share their pain points — the dearth of mechanics, narrowing margins on new equipment sales, and the intolerable noise in the cab of a new tractor that has farmers complaining. He occasionally pulls out a pad and an array of colored pens but mostly relies on his still razor-sharp memory. Pattison’s rags-to-riches story recalls a different era. Born in Luseland, Saskatchewan, during the Great Depression, he wore clothes stitched together from the castoffs of other children because money was so tight. The family moved out west when he was 6, settling in Vancouver’s gritty east side. In the summers he’d return to the family homestead in Saskatchewan, where the land was still plowed by horses. A natural salesman, he was touting seeds door-to-door at age 7 and within a few years was trouncing grown men in a competition to sell the most subscriptions of the Saturday Evening Post. His path to fortune began with a Pontiac Buick dealership in 1961. He bought it with a Royal Bank of Canada loan after persuading the local manager to exceed the branch’s lending limit fivefold. He keeps the yellowing, handwritten financial statements from that first year in a clear plastic folder. Pattison says his favorite job is still being a used-car salesman. “If I had to, I could always go back.” He parlayed that into a global business empire over the next five decades, completing hundreds of acquisitions to create Canada’s second-largest private company. One of his biggest stakes in an outside company is Westshore Terminals Investment, North America’s biggest coal export facility, in Vancouver — a cash cow with a shrinking life span in an era of tightening emission standards. His biggest public holding is a controlling stake in Canfor, the lumber company that has plunged about 35 percent this year as the U.S. housing market slows. The Pattison Agriculture dealership in Yorkton is a newly renovated hub in a region of 60,000-acre farms, some bigger than Lichtenstein. Most of the equipment inside costs half a million dollars each; some customers will drop as much as $29 million a year in purchases.